Welcome to the web's premier shrine to TVS's fondly remembered 1980's Saturday morning show. Over its seven year run, No. 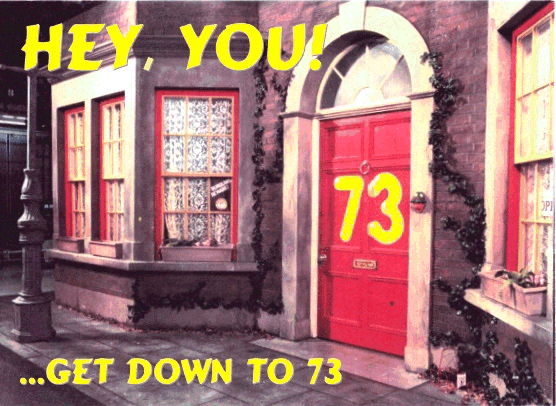 73 provided a welcome change from the normal magazine-programme style of Saturday tv. Although it featured much the same kind of stuff - cartoons, competitions, celebrities and bands - it was framed within a comical narrative. Roger Ramjet, the sandwich quiz, Matt Bianco in the cellar, Sandi Toksvig - what other show could boast a line-up like that?